Two major cultural events were organised in national capital New Delhi on 1 December and 2 December that went a long way in reiterating and reflecting the warm bilateral ties that India and Kazakhstan share in many areas. Both events showcased cultural cooperation between the two countries. 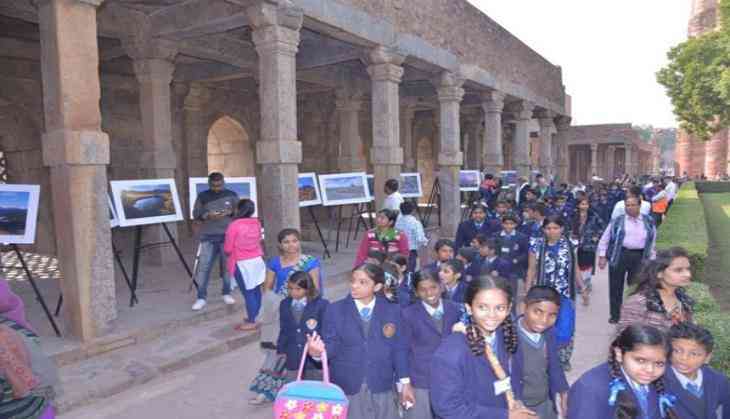 The first was a a two-day photo exhibition on Kazakhstan held in Delhi's 12th century made Qutub Minar heritage complex. The exhibition titled "Undiscovered Kazakhstan" featured over 3000 unique photographs showcasing both the talent of young Kazakh artists and photographers, as well demonstrating the natural beauty of the landscape that Central Asian nation, and was held on December 1 and 2. The exhibition was organised in the Indian capital by the Foundation of the First President of the Republic of Kazakhstan (Nursultan Nazarbayev) in collaboration with the Embassy of Kazakhstan. The unique photographs were taken from different parts of Kazakhstan. The project had a twin objective - to strengthen patriotism for Kazakhstan among Kazakhs and to project the landscape and little-known natural objects of Kazakhstan to people of other countries. An embassy release said that more 50,000 people attended the exhibition. Kazakhstan is located in the centre of Eurasia with a population of more than 17 million people. About 2,724,900 square kilometers of the region is occupied by people and in terms of area, it is the ninth largest place in the world. The country has a diverse environment, including deserts, semi-deserts, steppes, mountains, forests, rivers and lakes. There are 48,000 officially recognized lakes and 8500 rivers. The venue of exhibition was carefully chosen to highlight the symbolic cultural and socio-economic link between Hindustan as India was then known and Central Asia. The event was jointly inaugurated by Kazakhstan's Ambassador to India Bulat Sarsenbayev and Representative of the Foundation of the First President of the Republic of Kazakhstan Sergey Tokharov in the presence of the Chairman of the Kazakh-Indian Chamber of Commerce and Industry Rajan Madhu. Representatives of the Archaeological Survey of India and Qutb Minar complex were also present. The second cultural event featured artists from the Kazakh National Conservatory or Kurmangazy. They were led by award-winning Kazakh pianist Professor Jania Aubakirova. Aubakirova also gave a solo concert in honor of the Day of the First President of Kazakhstan. Ambassador Sarsenbayev thanked the guests for joining in the celebration of important dates for the Kazakh people. He also said that the year 2017 marks the 25th anniversary of the establishment of diplomatic relations between Kazakhstan and India. He said that in this short period of 25 years, Kazakhstan and India have managed to build and take their strategic partnership forward. The Indian government was represented by Joint Secretary in the Ministry of External Affairs of India G.V. Srinivas.